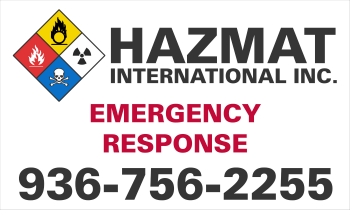 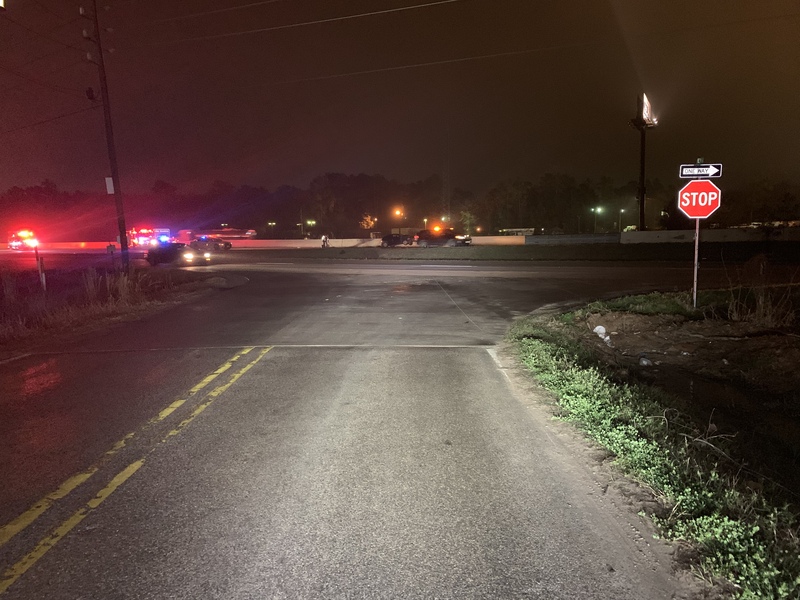 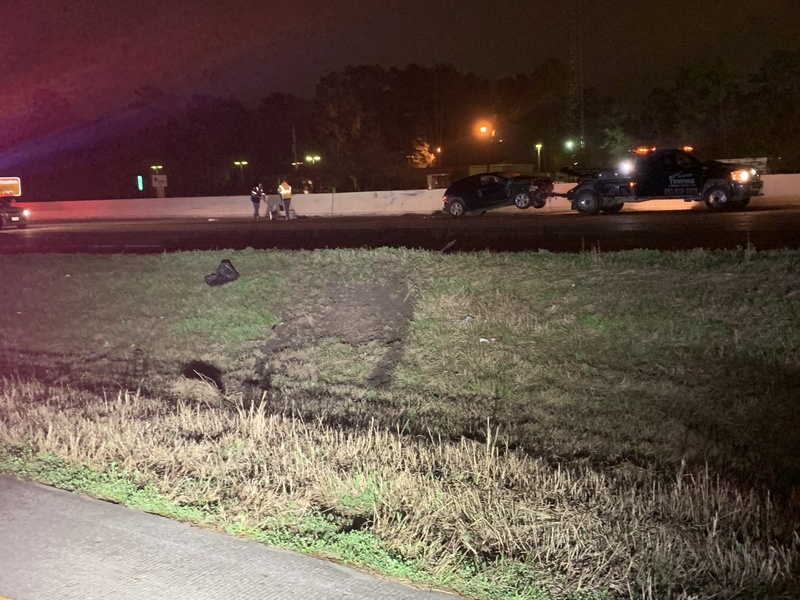 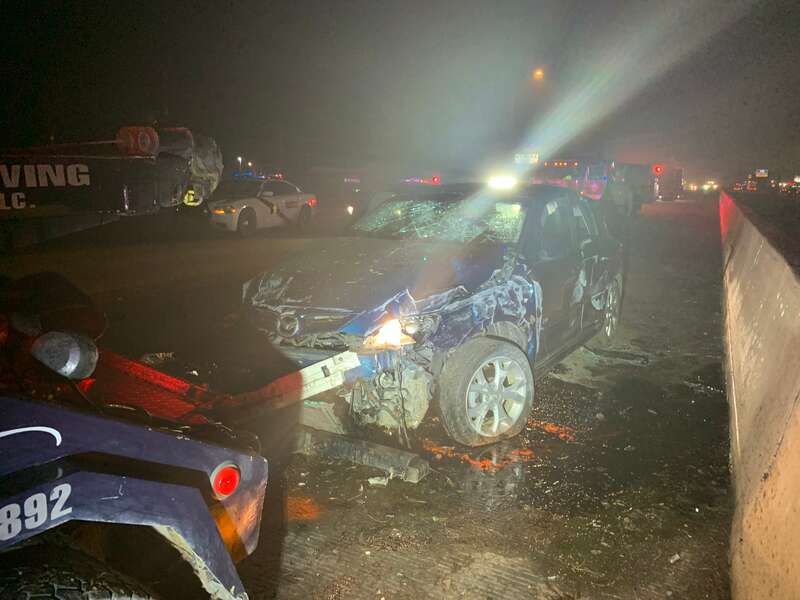 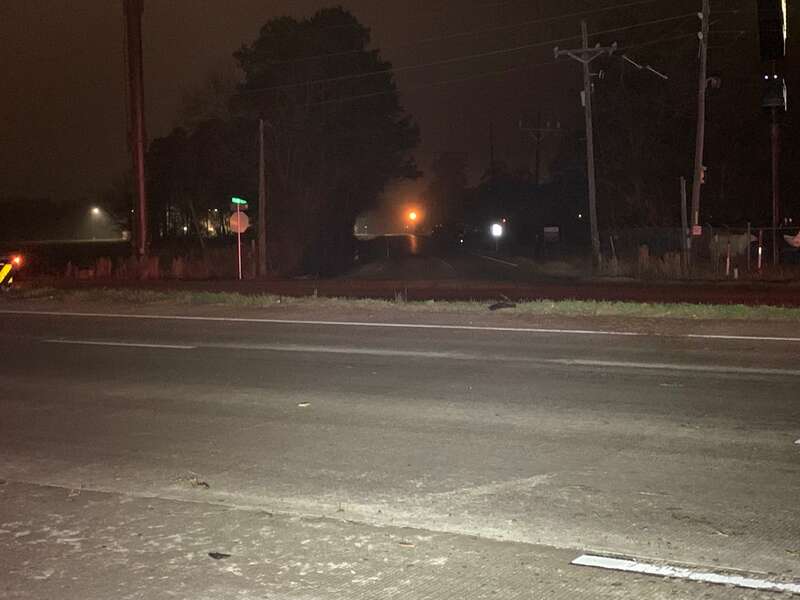 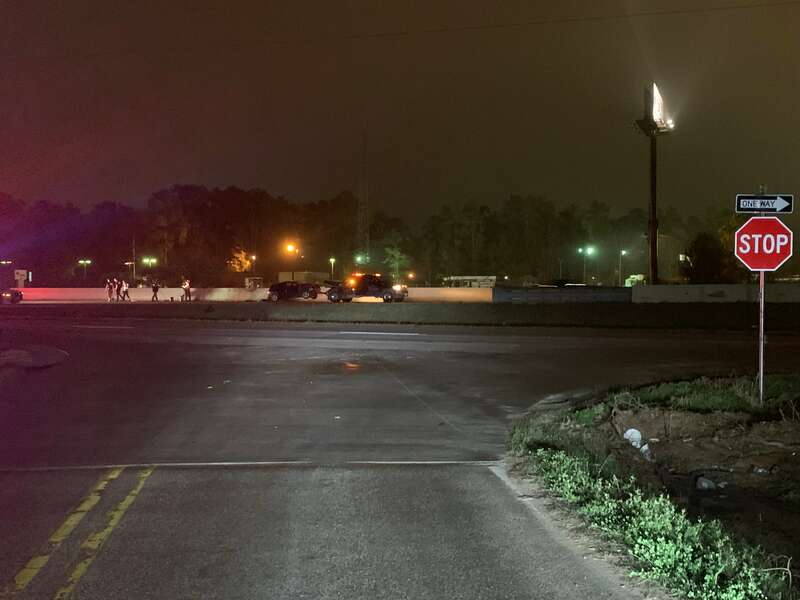 Just before 11 pm Sunday reports started coming into Montgomery County 911 regarding a Mazda 3 rollover and crash on US 59 between FM 1485 and FM 1314. 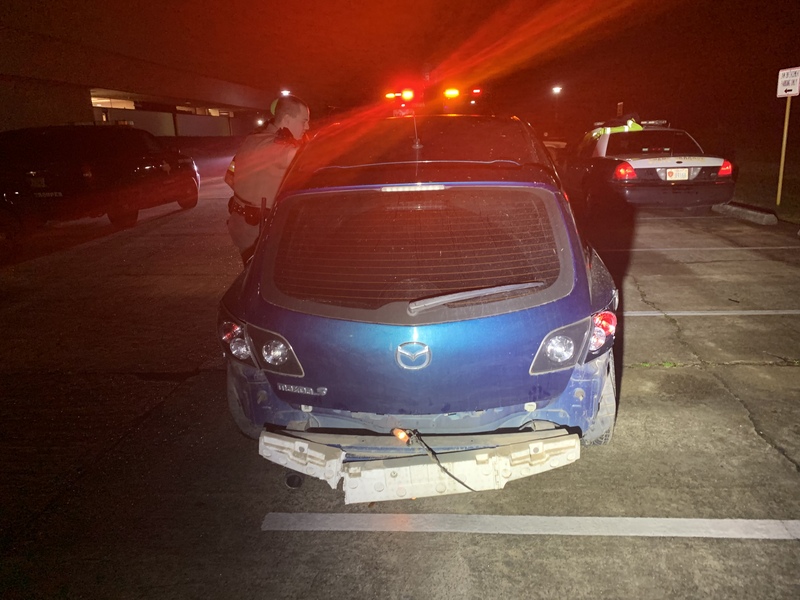 Patrol and fire units found the vehicle against the center concrete divider of US 59 at McCluskey. 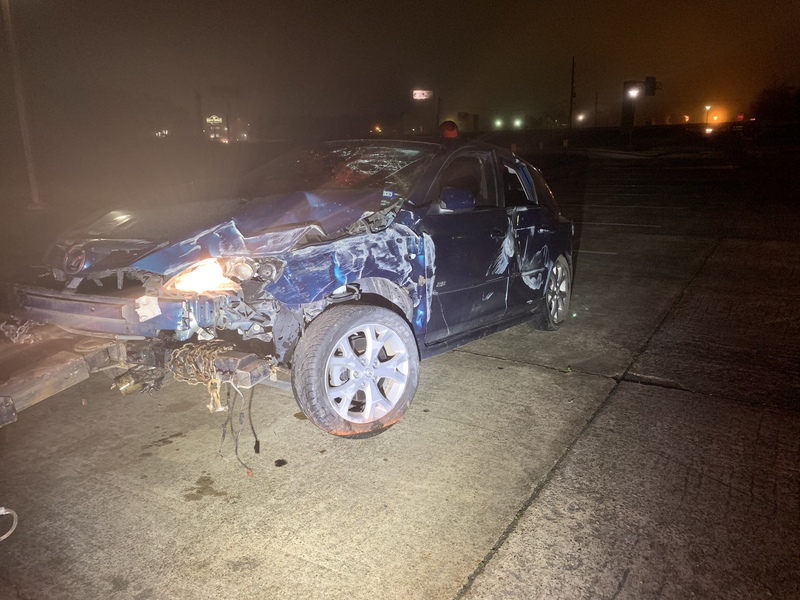 The vehicle had heavy damage and the female driver was seriously injured. 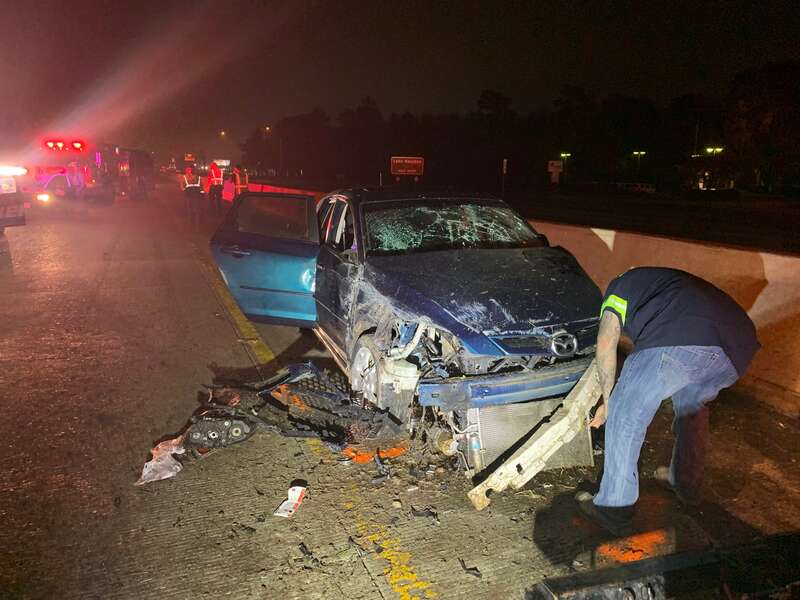 As DPS was investigating the crash several witnesses came forward having witnessed the crash. 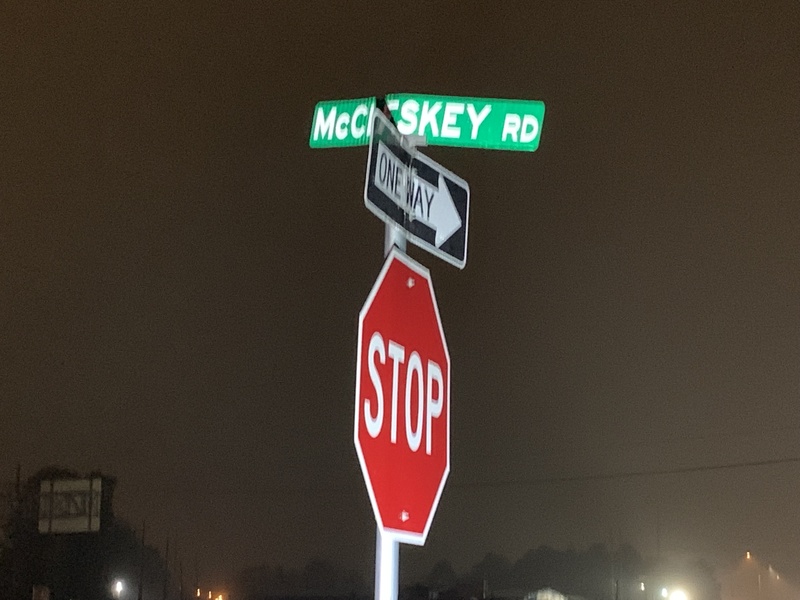 According to one witness who was on McCluskey Drive, the female driver was traveling east on McClusley which is posted at 40mph. 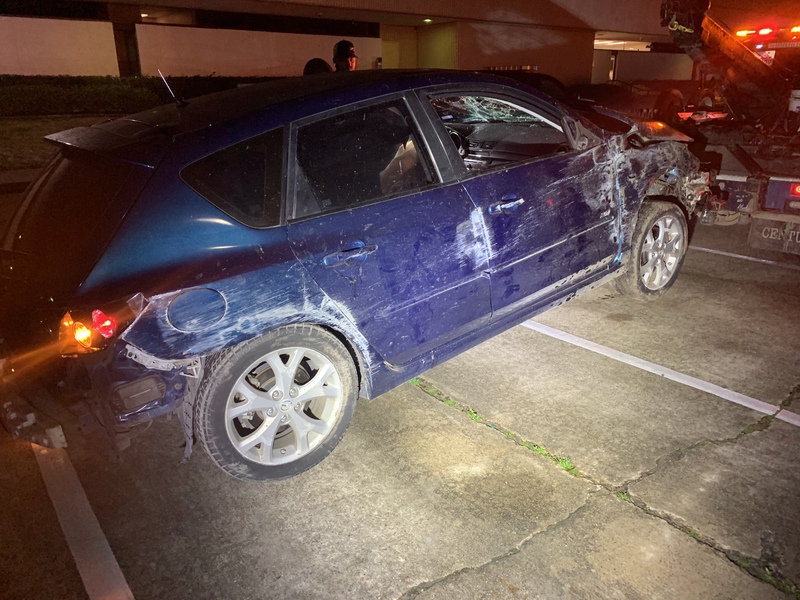 The witness stated she was doing much over that. 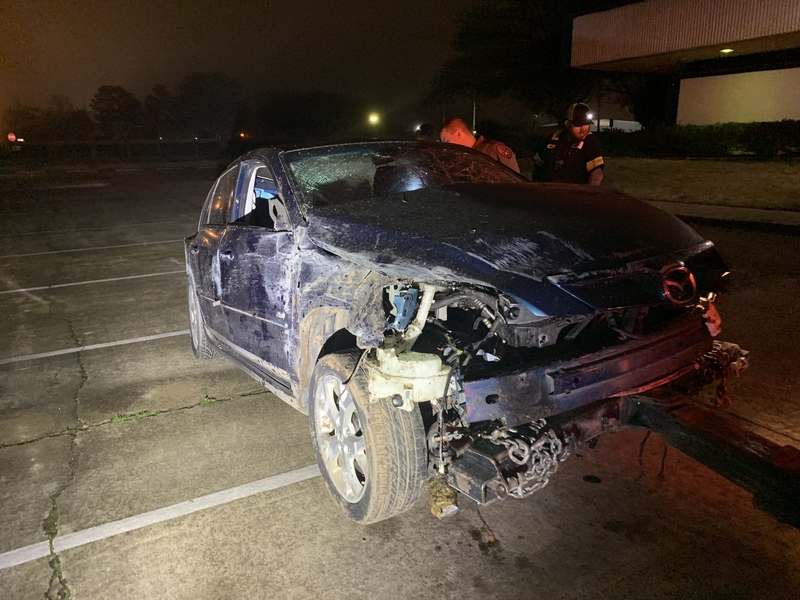 The vehicle came to the intersection of McCluskey and US 59 feeder and failed to stop for the stop sign. 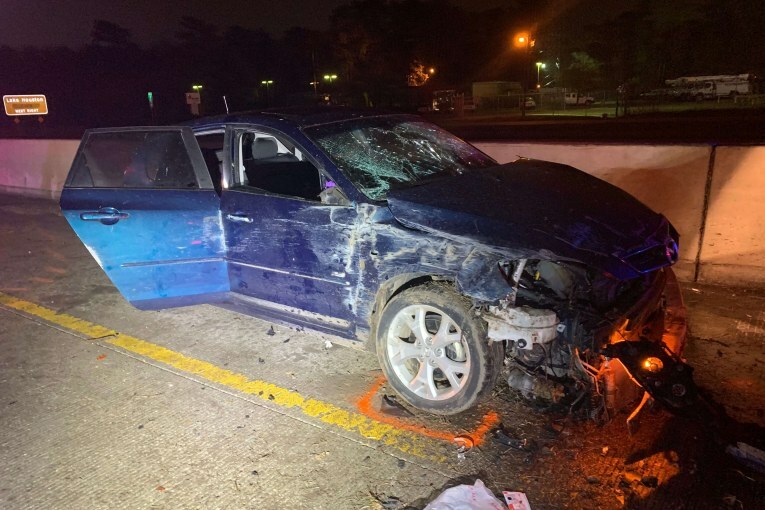 The vehicle went through the intersection, crossing the southbound feeder. 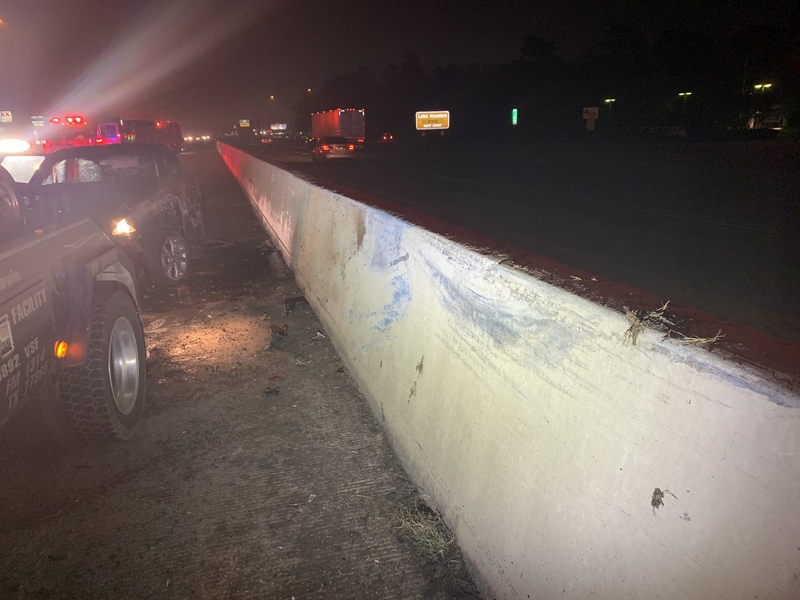 The driver continued into the ditch between the freeway and feeder and went airborne going across all lanes of traffic and shoulders. 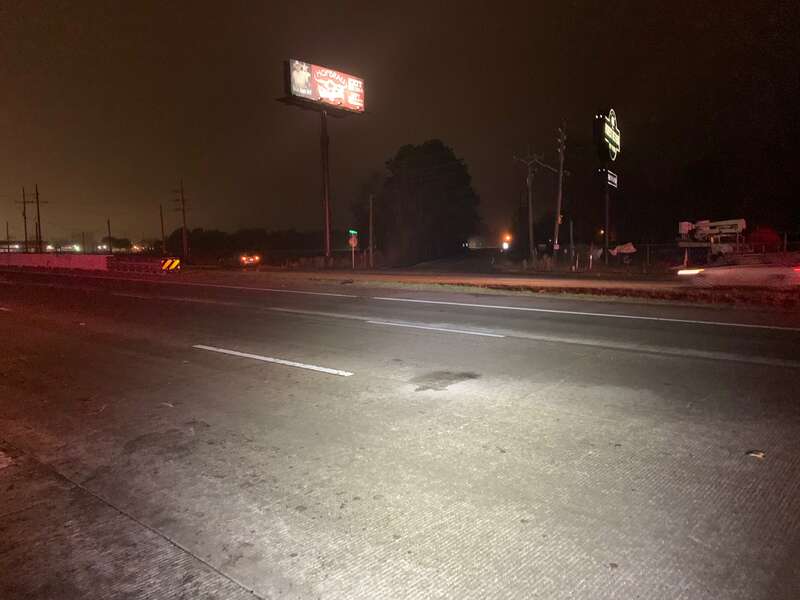 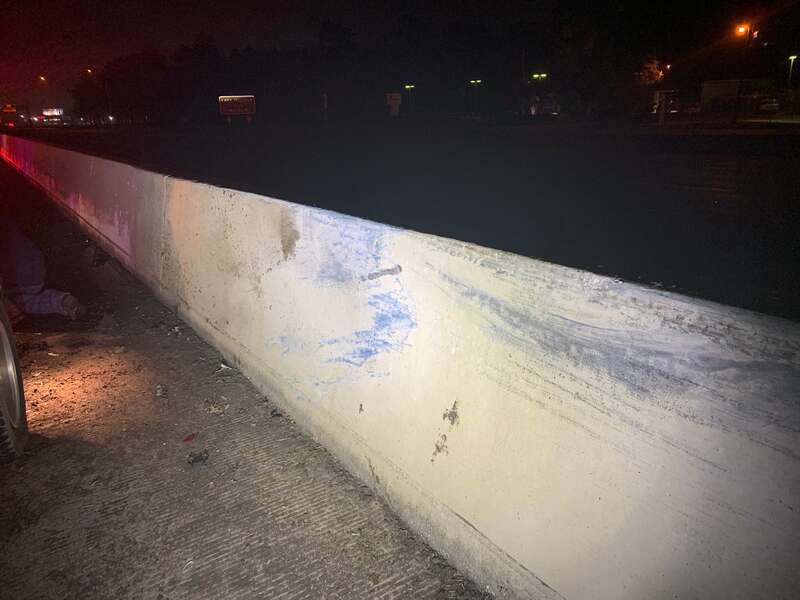 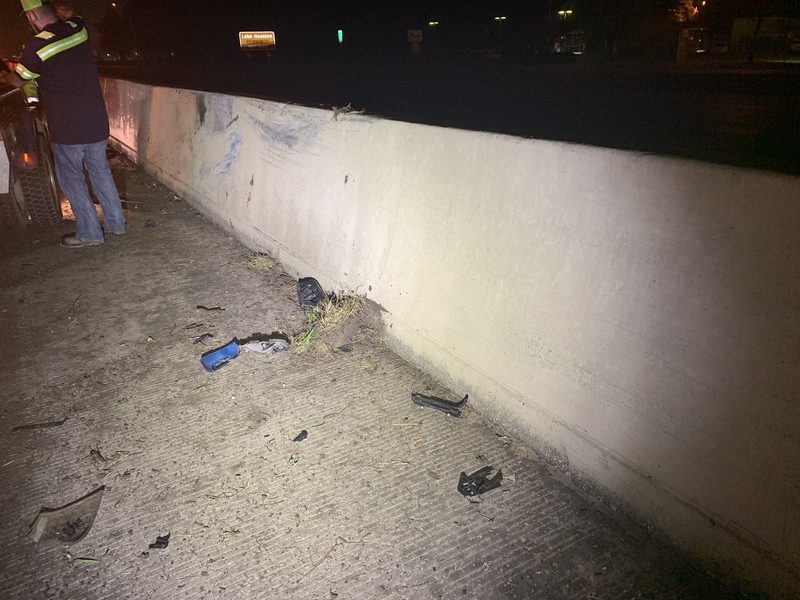 She struck the concrete wall in the center median and almost cleared it which would have put her in the northbound lanes. 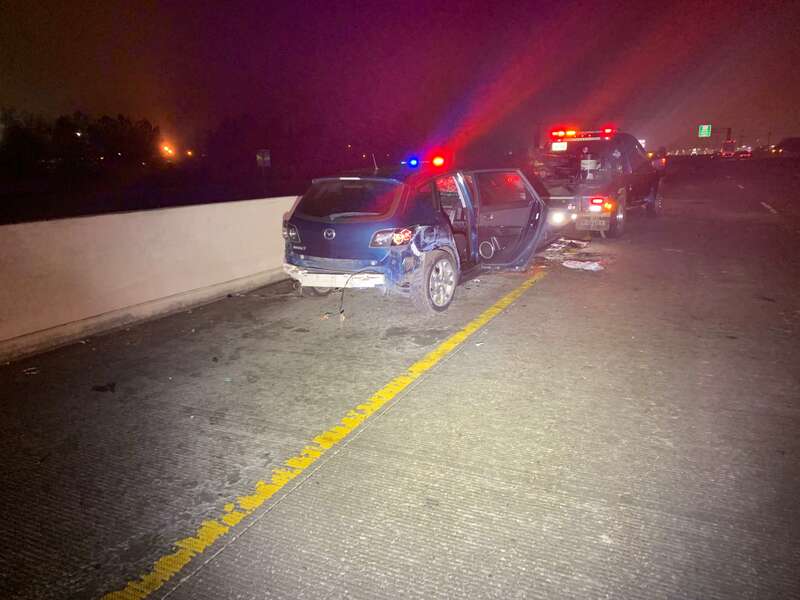 Surprisingly the driver of the Mazda struck no other vehicles. 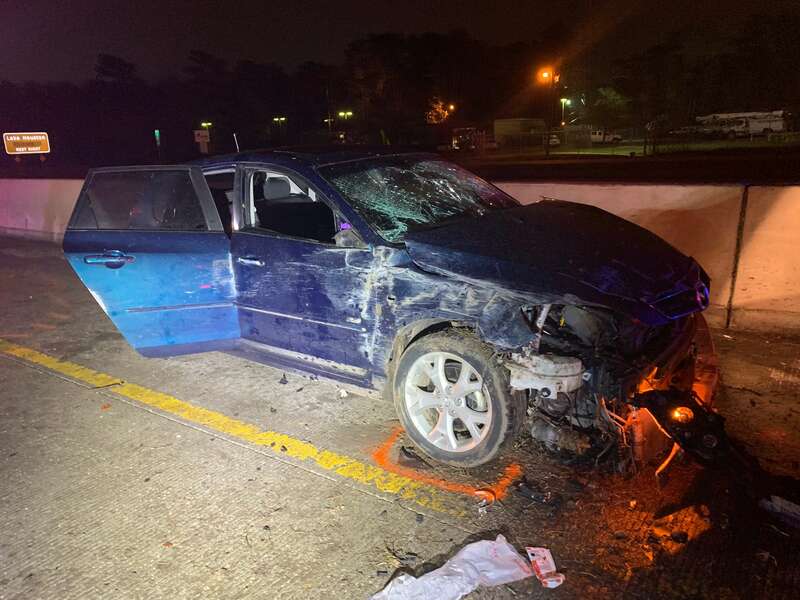 The female was transported by MCHD to Memorial Hermann in The Woodlands.